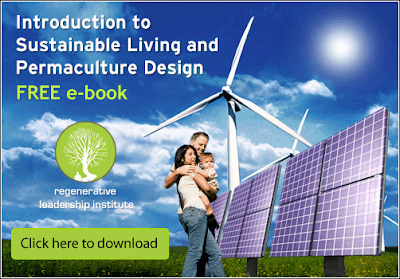 For a limited time, you can download the Introduction to Sustainable Living and Permaculture Design eBook for FREE! "A sustainable design science rooted in natural patterns. By observing the way nature works and then applying the same patterns and principles, we learn to design truly sustainable, extremely resilient systems. It is what our ancestors instinctively knew when they lived in villages, made their own things, and grew their own food. It is the art of respecting nature and working with it, rather than against it, to cultivate land, plants, animals and people by fostering mutually beneficial relationships between them." If you want to learn more, download the ebook!